Lower back pain relief is more than just resting or putting hot or cold packs on the trouble spot. It’s often figuring out through trial and error what kind of remedy works best for you. While you’re figuring out your own cure, Rav Ivker, author of CANNABIS FOR CHRONIC PAIN, shares 3 yoga poses that are guaranteed to help relieve lower back pain. Try these exercises once a day and see if there is an improvement. This position gently stretches the muscles in the hips, buttocks, knees, hamstrings, and lower spine, and strengthens core abdominal muscles, while keeping the spine in a protected position. There are two options for performing this stretch. They both begin the same way. Lying on your back, slowly bring one knee up to your chest, or as high as you can without experiencing pain. You can keep your opposite knee bent or straight, whichever feels better (with back pain, it’s usually more comfortable bent). In position a, clasp your hands on your shin between your knee and your ankle. In position b, clasp your hands on your lower thigh just above the back of the knee. In both positions, on every exhalation, gently pull or squeeze your knee closer to your chest. On every inhalation, relax. Keep the knee flexed with both the pulling/squeezing and releasing. Continue this slow rhythmical breathing, while squeezing and relaxing. Feel the stretching in your hip joint, knee, and lower back. Repeat the same sequence with the opposite knee. Turn over and place your hands directly under your shoulder joints, your knees under your hip joints, thighs and shins forming right angles. Your feet are in alignment with your knees. Toes point straight, and soles of feet face upward. Your spine has the same curves as it did when you were lying on your back in position b above, but now you are turned over, and with this movement your spine will flex and extend as you tilt your pelvis back and forth. Another bene t of this position is that because you are on your hands and knees, all of the weight is o your back, allowing for a greater capacity to stretch and heighten mobility of the spine. Lie facedown on your belly. Place the palms of your hands on the floor in line with your chest and your fingertips in line with your shoulders, with your elbows close to your body, your feet together, and your forehead on the floor. Slowly extend your head so that your chin first touches the floor. Continue extending and lifting your head off the floor while raising your upper body. Use only your upper back muscles to lift (not your hands). Look up as you extend your head and neck as far as you can without straining, while feeling a backward bending in your spine. Come up only as high as is comfortable for you. Inhale as you do each progressive extension and raise your upper body. To lower, reverse the order, lowering your chest, then your chin, and then your forehead to the floor. Repeat this cycle five times. Remember to breathe and keep only light pressure on your palms so that your back muscles are doing the work. Try to relax the muscles in your buttocks as you maintain this position for as long as you can without forcing or straining. After completing at least five cycles, turn your head to one side, close your eyes, straighten and lower your arms to the floor, breathe, and relax. In addition to stretching and strengthening the muscles that extend your spine as well as your abdominal muscles, this stretch also helps to open up the disc spaces. Yoga has many health benefits and might be the perfect practice for you. Our editor rounded up the best yoga tips for a happy and healthier you. Excerpted from Cannabis for Chronic Pain by Dr. Rav Ivker. Copyright © 2017 by Simon & Schuster. Used by permission of the publisher. All rights reserved. 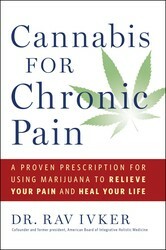 The first authoritative and comprehensive guide for treating chronic pain with medical marijuana from a holistic family physician who has treated more than six thousand chronic pain patients with cannabis.While the number of patients using medical marijuana increases every year, misconceptions about cannabis and whether it’s harmful or dangerous still exist. In Cannabis for Chronic Pain, Dr. Rav explains the potential of marijuana’s capacity for healing anyone afflicted with chronic pain. Medical marijuana is a safe, non-addictive alternative to dangerous opiate pain pills. Along with sharing his own story of using medical marijuana to heal from a severe case of shingles, Dr. Rav guides you through the cannabis and holistic treatment for your specific chronic pain condition. If you are suffering from arthritis, back pain, migraines, fibromyalgia, menstrual cramps, IBS, Crohn’s Disease, anxiety, depression, or pain from cancer or its treatment, this may be the book for you. Dr. Rav offers step by step instruction on the benefits and appropriate use of medical marijuana. And he dispels many of the misconceptions. Did you know that you don’t have to smoke or eat cannabis for it to be effective? There are now patches and drops. We are entering a new age of acceptance and perhaps most importantly, as Dr. Rav highlights, it is now possible to create a distinct cannabis prescription for different types of chronic pain. 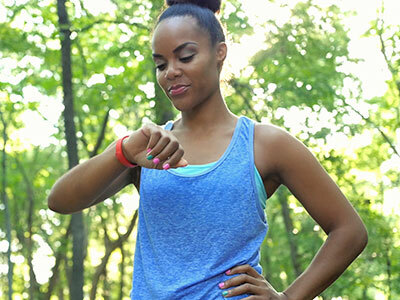 Find what works for you and finally get the relief you need. Cannabis for Chronic Pain is the new, definitive guide for anyone who suffers from chronic pain.